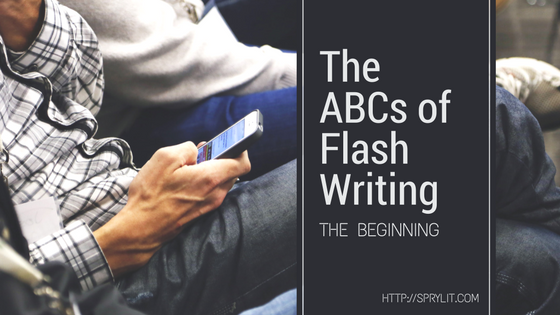 Starting tomorrow, you’ll hear from 26 writers — experts, in my opinion — who immerse themselves in the realm of flash, whether by writing short fiction, nonfiction, prose poetry, or a hybrid mix that happens in as little words as possible. Not only are these writers talented, but they are patient as well. This series was originally set to be published in 2016, but after a series of people dropping in and out of the alphabet, it’s finding a home in Spry in 2018. We are eternally grateful for the intelligent advice from these writers, and consider ourselves lucky to be the platform to share it with you. Check back every day for a new letter, and thank you for coming along on this ride with us. Whatcha doing right now? Send your writing and artwork to Spry. We are currently considering all five genres for our next issue. Submit here.